Andy Puzder, the former CEO of CKE Restaurants, recently delivered an important message for Prager University. In it he extolled the virtues of capitalism and explained why socialism truly is evil. Capitalism is based on human greed. Socialism is based on human need. So wrong, it’s exactly backwards. And I’ll prove it to you. Been on Amazon lately? Each of the thousands of products Amazon offers represents the work of people who believe they have something you want or need. If they’re right, they prosper. If they’re wrong, they don’t. That’s how the free market works. It encourages people to improve their lives by satisfying the needs of others. No one starts a business making a thing or providing a service for themselves. They start a business to make things or provide services for others. When I was the CEO of the company that owns Carl’s Jr. and Hardee’s restaurant chains, we spent millions of dollars every year trying to determine what customers wanted. If our customers didn’t like something, we changed it–and fast, because if we didn’t, our competitors would (pun intended) eat us for lunch. The consumer–that’s you–has the ultimate power. In effect, you vote with every dollar you spend. In a socialist economy, the government has the ultimate power. It decides what you get from a limited supply it decides should exist. Instead of millions of people making millions of decisions about what they want, a few people–government elites–decide what people should have and how much they should pay for it. Not surprisingly, they always get it wrong. Have you ever noticed that late-stage socialist failures always run out of essential items like toilet paper? Of course, this isn’t a problem for those who have the right connections with the right people. Those chosen few get whatever they want. But everyone else is out of luck. Venezuela, once the richest country in South America, is the most recent example of socialism driving a prosperous country into an economic ditch. Maybe you think it’s an unfair example. I’m not sure why, but okay. We’ll ignore the fact that leftist activists celebrated it as a great socialist success–right up until it wasn’t. But what about Western European countries? Don’t they have socialist economies? People seem pretty happy there. Why can’t we have what they have–free health care, free college, stronger unions? Good question. And the answer may surprise you. There are no socialist countries in Western Europe. Most are just as capitalist as the United States. The only difference–and it’s a big one–is that they offer more government benefits than the U.S. does. We can argue about the costs of these benefits and the point at which they reduce individual initiative, thus doing more harm than good. Scandinavians have been debating those questions for years. But only a free-market capitalist economy can produce the wealth necessary to sustain all of the supposedly “free stuff” Europeans enjoy. To get the “free stuff,” after all, you have to create enough wealth to generate enough tax revenue to pay for everything the government gives away. 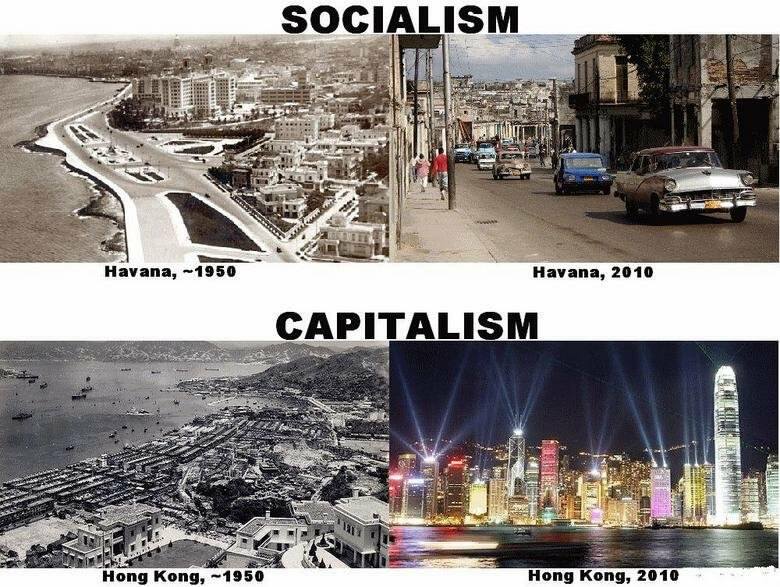 So when you point to Denmark as a paragon of socialism, you’re really singing the praises of capitalism. 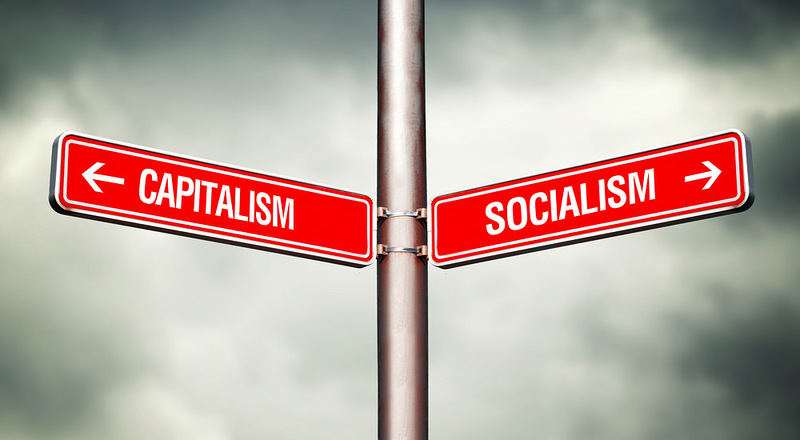 The more capitalism, the less “socialism” you need. Look at America since 2017. A policy of lower taxes and less government regulation (that’s more capitalism) has led to a robust economic expansion, something thought impossible just a few years earlier. Unemployment, notably among minority groups typically most at risk for poverty, is at a generational low. Economic expansion gets people off welfare and into work (that’s less “socialism”). None of this requires a degree in economics. Common sense is all you need. That’s why it’s so frustrating to see young people praising socialism and criticizing capitalism. It’s bad enough that they’re working against their own interest–better job prospects, better wages, personal freedom–but they are also working against the interest of the less fortunate. Capitalism leads to economic democracy. Socialism leads to the economic dictatorship of the elite. Always. And everywhere. So beware what you ask for. You just might get it. I’m Andy Puzder, author of The Capitalist Comeback, for Prager University. When did the Left Transition From Partisan Politics to Treason?Investigate Trump’s finances? Investigate Congress’ finances!